You don't have long to display these fun New Years printables, but they make a great decoration for your New Years Eve party. And because they are free to download and you can print them out for a few dollars at your local print shop or photo developer, you aren't going to spend a lot of money for this New Years decoration. 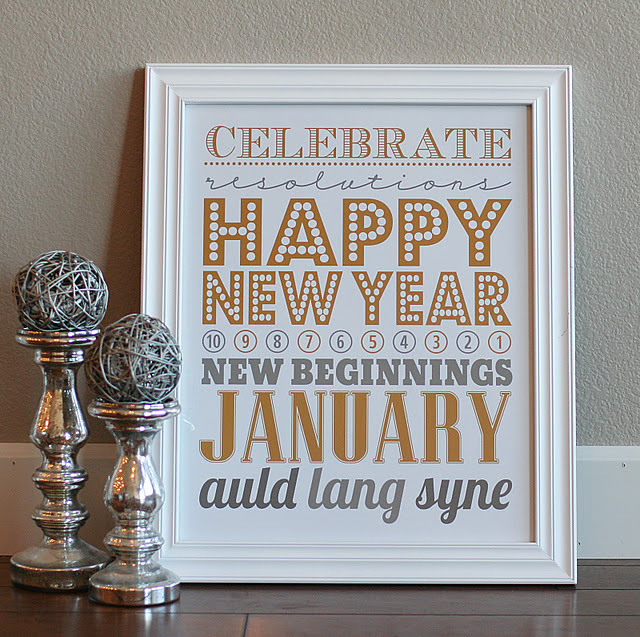 This gold and silver New Year's Subway Art Printable is from Eighteen25 or you can download this red and turquoise New Year's printable from The 36th Avenue. 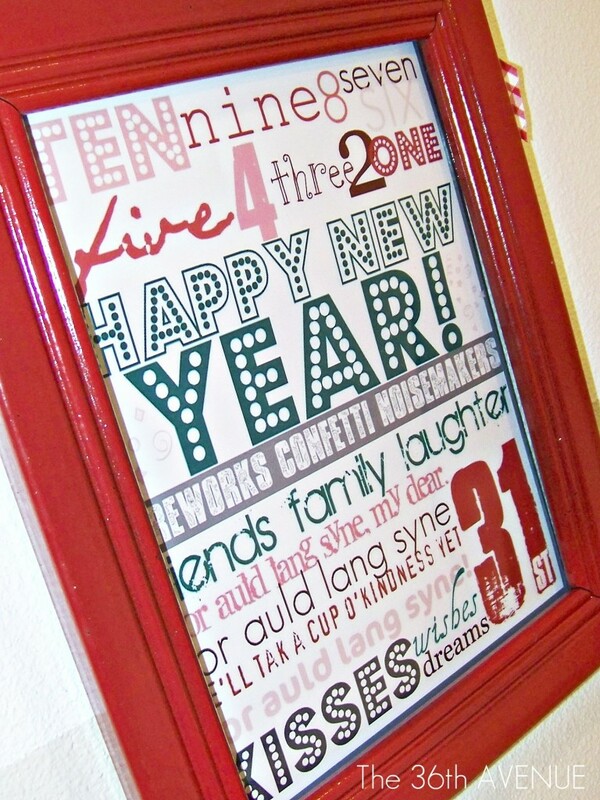 Make sure to check out more of our featured New Year's Eve party ideas.